Utiliz saves you money on your power bills automatically. Satisfaction guaranteed. Adjust the slider for your monthly electricity usage. Want a more precise quote just for you? Utiliz handles your electricity supplier switching, so you’re always saving money on a low cost plan. It's the same electricity, same power lines, on the same utility bill, but at a lower cost. In many states, you don’t have to buy your electricity from your local utility company. There are other options out there that can save you lots of money. That’s where Utiliz comes in. We track the markets daily and know where the savings are. Unlike other energy switching companies, Utiliz charges no commissions for homeowners and small businesses. There are never any hidden fees, just a low monthly subscription. By constantly finding and switching you to low-cost power plans, we save you money automatically. It’s as simple as sending your bill to us. You can screenshot it, download a PDF, or mail us a paper copy and confirm when you'd like us to start switching your account for you. Once we have your information, we’ll shop the market and start saving you money. Your satisfaction is 100% guaranteed. If we don't save you more than the cost of your subscription on an annual basis, we'll credit you the difference! Once you're signed up, we’ll take care of the rest. We’ll show you your savings monthly and you’ll never have to worry about price hikes or contract expirations. Before your low rate contract expires, we automatically switch you to a new contract and keep you up to date with your new savings. With Utiliz, YOU have the power. Take the next step. Your satisfaction is guaranteed. What are people saying about Utiliz? We support all utilities in Connecticut, Massachusetts, New Hampshire, New Jersey, & New York. But our allegiance is to you. Our only goal is to find you the best deal. How busy have we been since we launched? Utiliz tracks the power markets daily, which includes the lowest pricing available from green and renewable energy sources. Maybe this matters to you - and it matters to us too. We’re happy to help you make a smart transition to affordable, renewable power, and we’ll make sure that your low-price energy quote is 100% renewable energy. When you submit your bill, select this option and we’ll make sure we reach out to the right players in the market for you. With Utiliz, being committed to the environment and saving money can still go hand in hand. "You guys are the watchdogs"
Thanks customers! You're five-star too! Copyright © 2016-2018 Utiliz LLC. *Estimated savings are based on historical average across all customers. 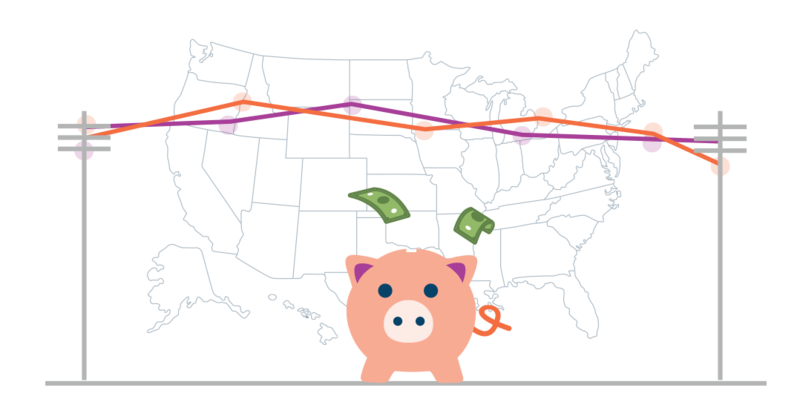 Savings vary depending on region and market dynamics. Your actual savings may be higher or lower, but your satisfaction is guaranteed.